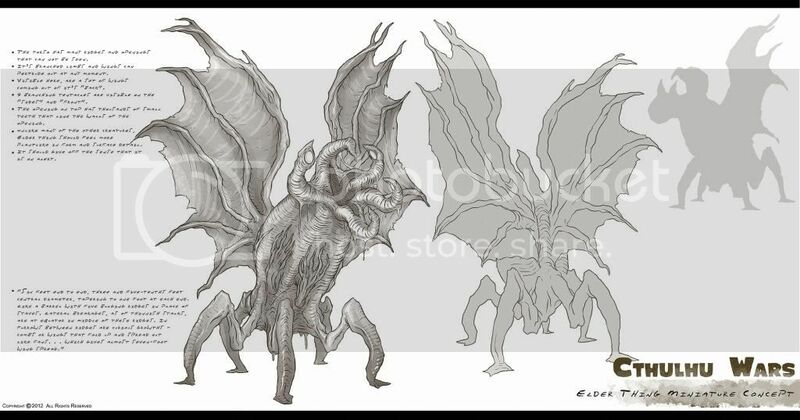 Cthulhu Wars is a strategy/horror board game from Lovecraft's classic Cthulhu Mythos. 4,389 backers pledged $1,403,981 to help bring this project to life. The Final Onslaught of Cthulhu Wars is here! ALL THE DOWNLOADS YOU COULD POSSIBLE WANT! Sandy Made Dozens of New Loyalty Cards + Spellbooks! Free downloadable Loyalty Cards and Spellbooks as a Planet Apocalypse crossover! 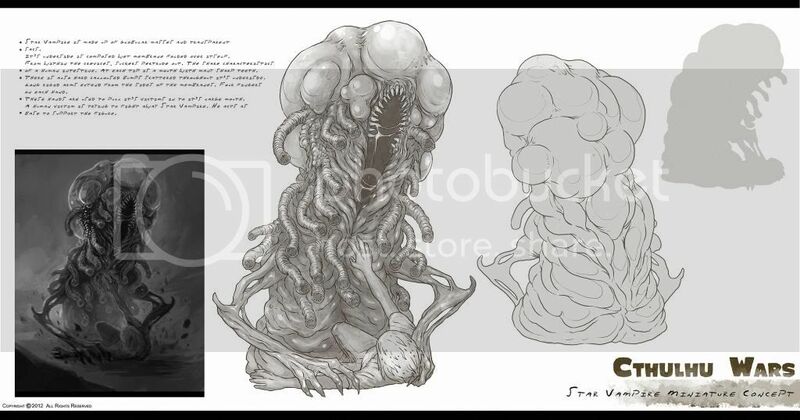 In case you are unaware, we have a new Kickstarter project going on for a new batch of Cthulhu Wars expansions! 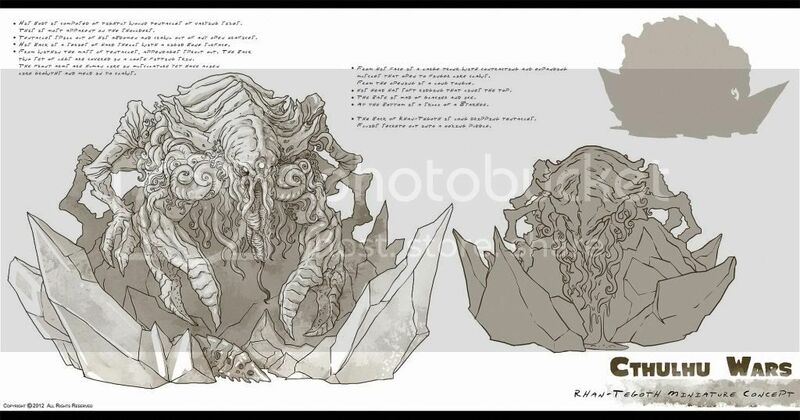 The last update included a link for a document with rules for using Monsters from The Gods War in your Cthulhu Wars game. Panda & Petersen. Games, that is. Yet another update. Post-final I guess. This is a short update to let you know that we are still concerned about those who haven't gotten their packages. What is happening? News you can use! The shipments should have exited the warehouse by Friday Dec 4th, or (depending on where you live) by next Friday Dec. 11th. This is what we are told. Tracking the packages over "The Night Oceans"
A picture is worth a thousand words. Here are three images of your rewards leaving the factory. Next update will have links to your tracking numbers. Look at all of your upcoming STUFF! Also wanna free glow-in-the-dark Cthulhu? Hey all, we have a new crowdfunding coming up soon (Oct 19th), and we want to give you all an opportunity to get in on a special deal. Video of the Map Expansions! Last week we did an update showing the cool figure expansions that you have coming to you. This week, the update shows the Map expansions (all four of them)! My son, Arthur, who is also our production specialist, has taken a lightning trip to China to check on the expansion production. Here is his report, pretty much unedited. The Stars are (very nearly) Right! All of the plastic figures have been produced! The Most Important Update of the Year! Read Me! Super Important Update - please examine this one! Ask Sandy about to return! 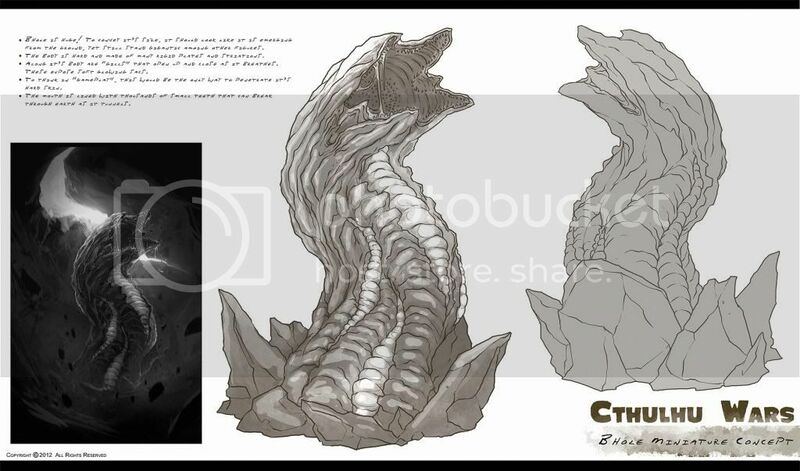 Plus map upgrades & Tentacles & Teeth! Many of you may remember the epic Ask Sandy thread that once appeared on the Heaven Games forums. It is about to return! Watch for news of it here! Shipping update, Onslaught 2, and a sneak peek! We are moving along rapidly on the production for the expansions and addons, and we want to show you some of the progress. 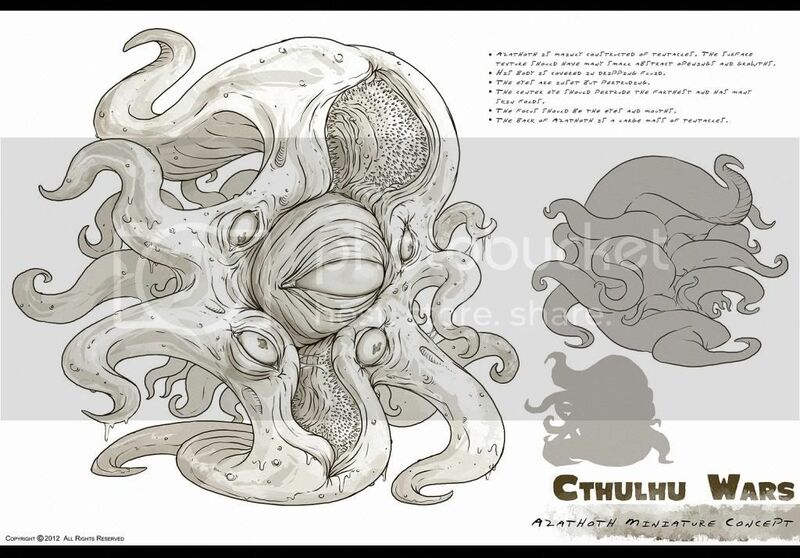 Cthulhu Wars hits the non-Cultist world! Where is your stuff? Find out! A quick update for our EU customers. Belt yourselves in, fellow cultists! We have a long tome for update 165! Where Is My Bonus Stuff? Have You Found the Yellow Sign? Good news for us all! We have good news and bad news and then more good news. Just a brief update to let you in on two neat facts. In an effort to get Cthulhu Wars into the hands of people around the world we have launched our first foreign language campaign. The ship is on its way! 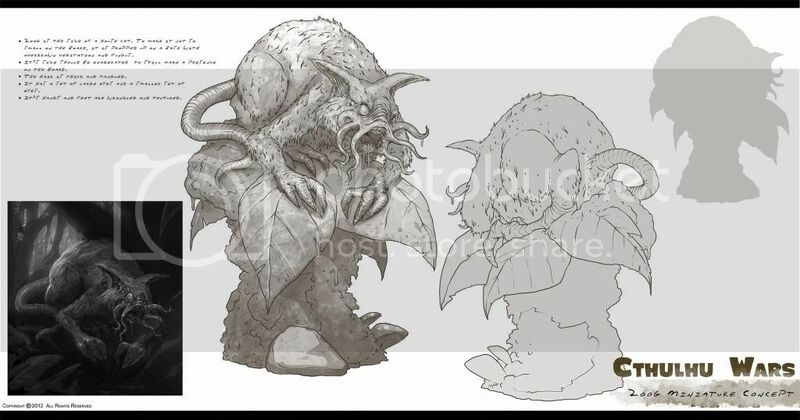 Hello Cthulhu Wars Fans and Happy Cthulhuween. We hope that you all have a great holiday that drives you and those around you completely mad. We have images of the game actually being printed at Panda (our factory). Check them out. First off, the game is still in full production and we are happy to report that in the next update we hope to give hard delivery dates. Update 143 - emergency update correction! Lots of news - pledges! Music! Wood! China! Hey fellow cultists, Sandy is back from the forgotten city, and here I am! Molds! Molds! 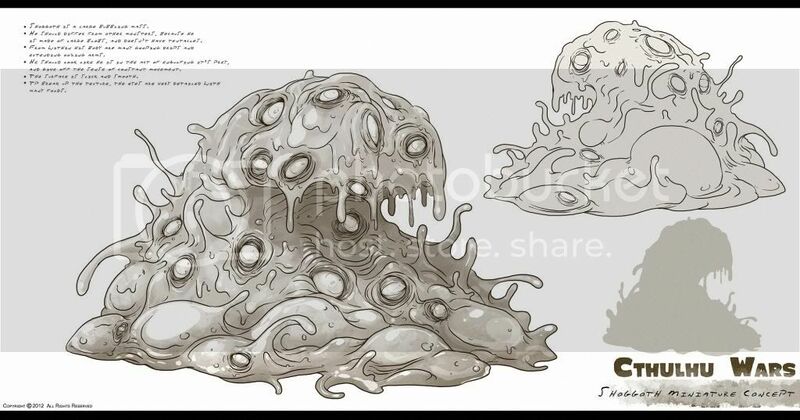 Molds! Plus mailing address and fun stuff. Merry Roodmas to one and all! 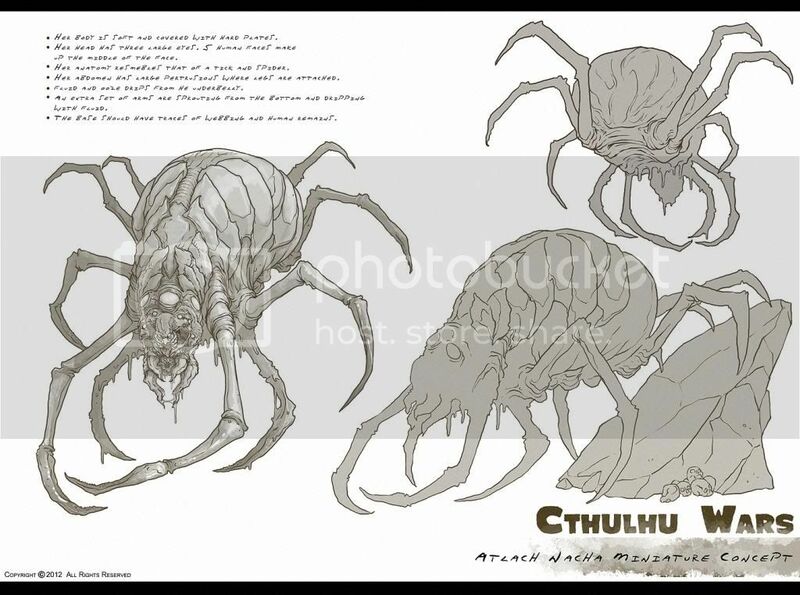 Manufacturing Delays + NEW UNLOCKED MINIS + Check Out World War Cthulhu! The Stars are (almost) Right! Time for an update on completion & shipping! Enjoy the new pic's and the Red Harness Kung Fu mistress! Hello & Merry Christmas to all of our wonderful backers! New minis came in the other day and we played with them last night. Here is an album of them on imgur. Richard Luong T's and FB page! 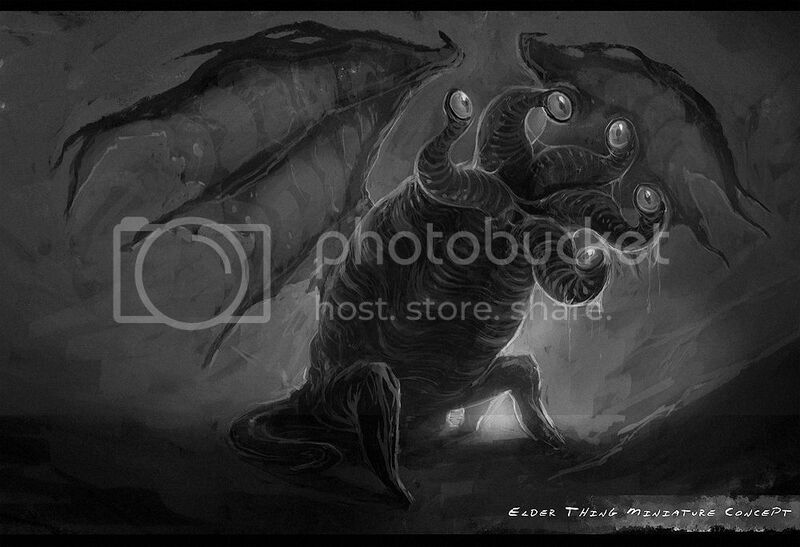 See Cthulhu Wars in Action at SPIEL '13 in Essen, Germany! Fresh new Model Pics and Art book Link! Amongst "Boxgate", an art update! Here's the next batch of concepts going out. 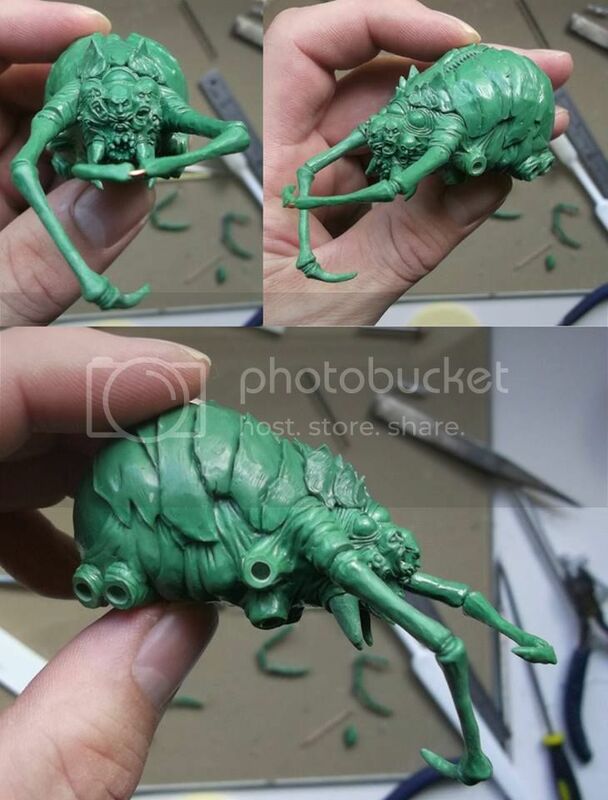 Also some awesome WIP pics of some sculpts. It's all coming together! 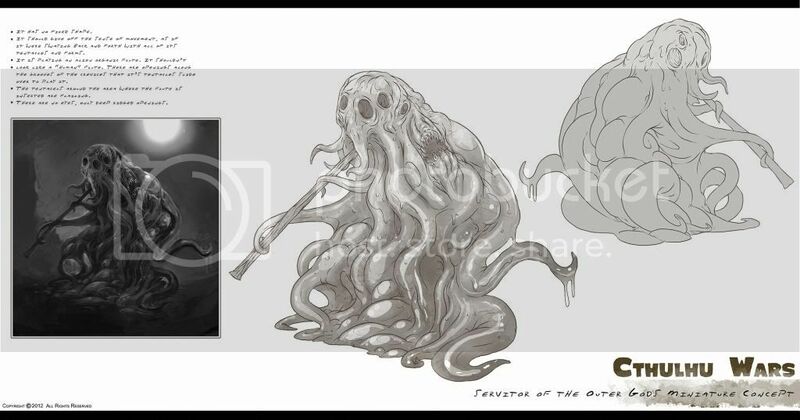 We have a couple friends on Kickstarter who are also doing Cthulhu projects! Take a minute this weekend and take a look. Show your support! 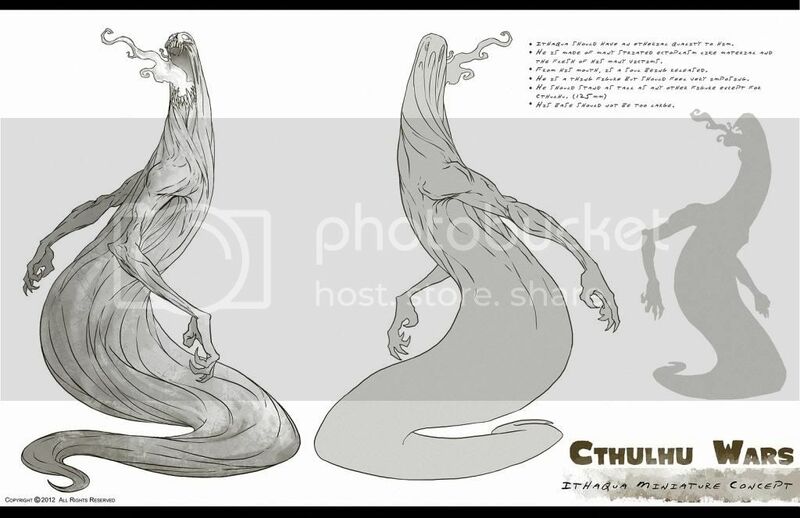 More Model Sheets plus a Bonus! Opener of The Way Sculpts! Pledge Manager Ready for Launch! Here are the next round of model sheets that are getting ready to be modeled. More to come! I forgot to add this to the last update. 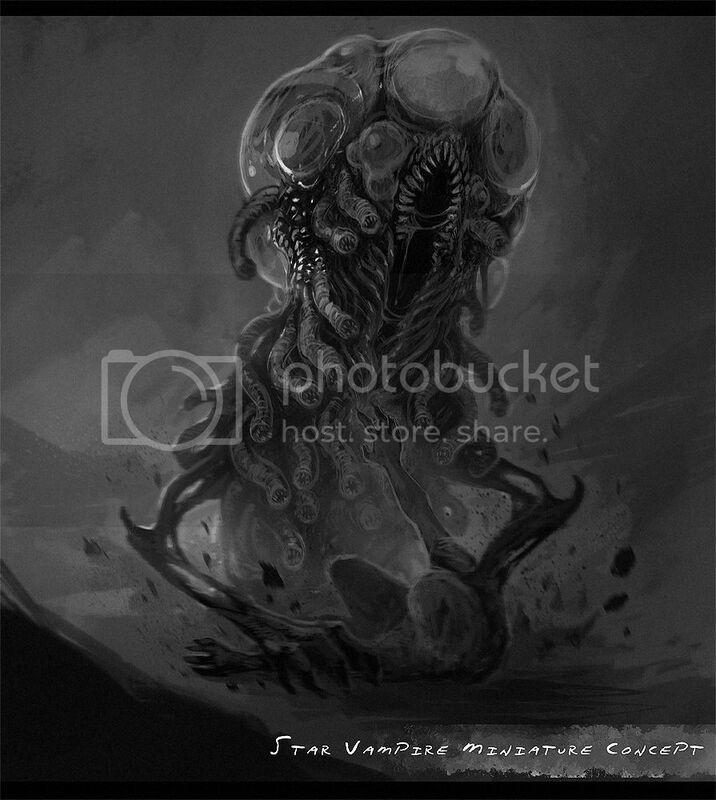 Here is the illustration for the Yog Sothoth Opener of the Way Faction card. Bholes, Zoogs, and Slime Molds! Concept Updates in the future. 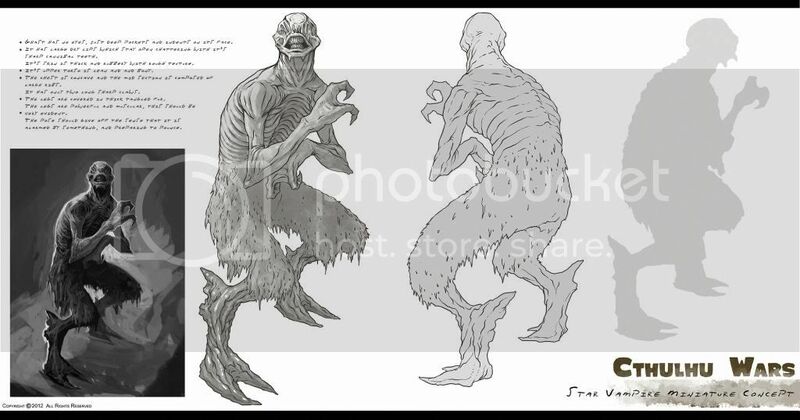 Our Moonbeast image seems to have been suffering some angst re: his body position. Don't worry, we'll get it right before publication. Wow in the middle of writing my High Priest / Zoog update the Ghast unlocked as well, thanks to our getting 4200 backers. Thanks so much all. High Priest and Zoog collectibles unlocked! 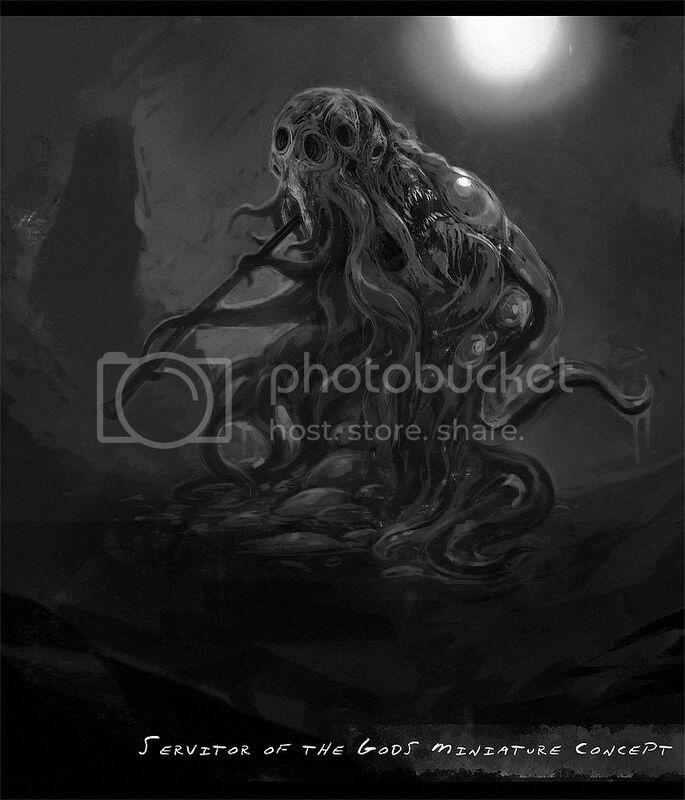 The New Mystery Great Old One is Rising! This is a very happy milestone, we are now over 4,000 backers strong! 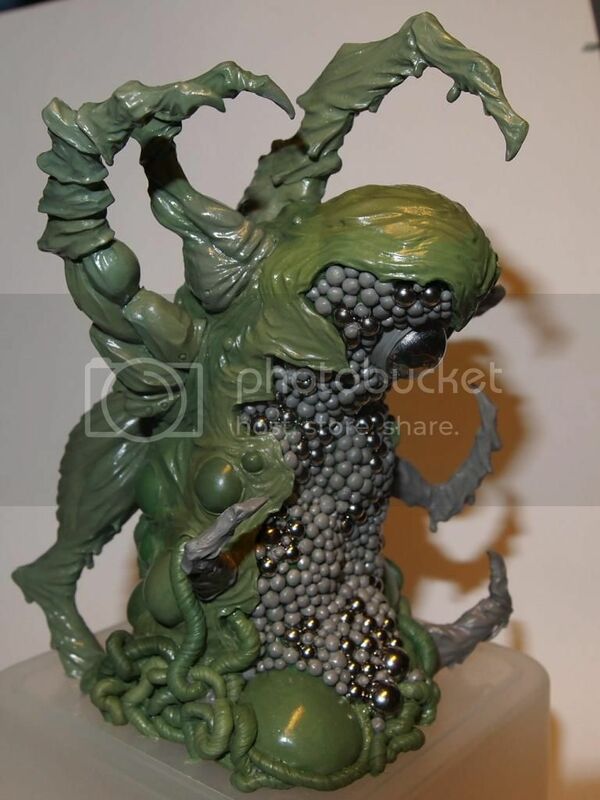 We are thrilled to announce that the Formless Spawn Collector's Edition Figure is UNLOCKED! Hunting Horror Collector's Edition Figure is UNLOCKED! Updated Stretch Goals! Amazing FREE Figure! Opener of the Way - Progress Report! 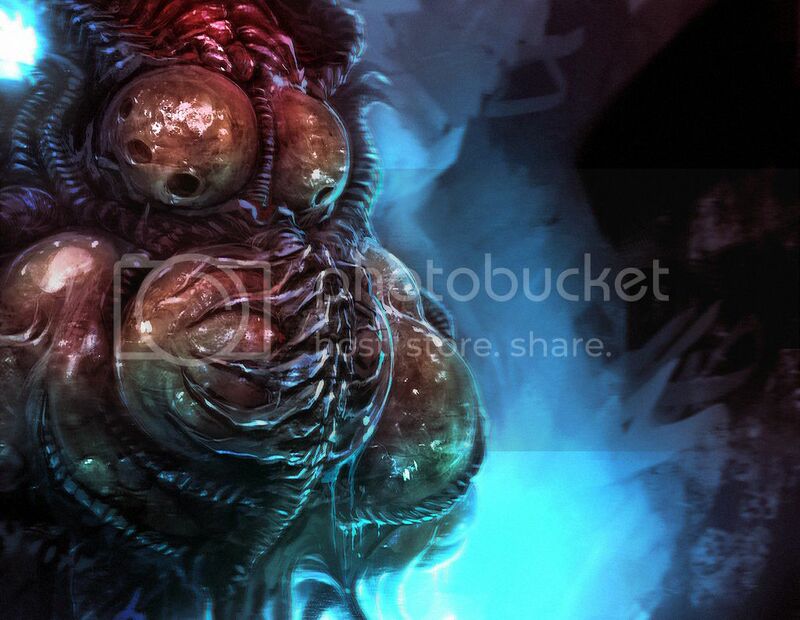 Spam of Azathoth. Feedback always welcome, I love to hear your guys comments. 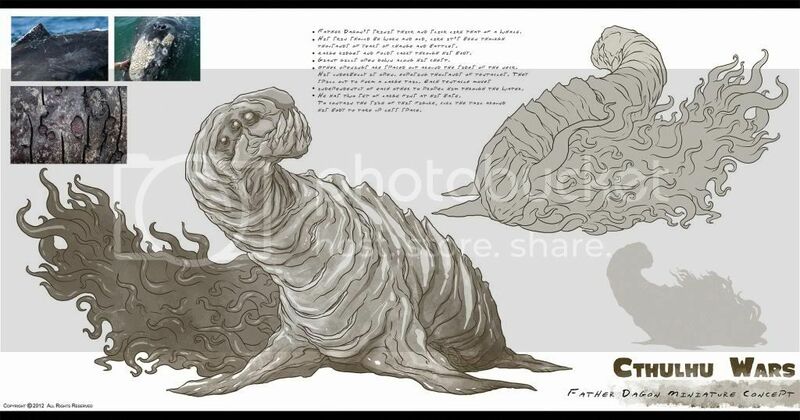 Here are concepts for the Sleeper Faction. 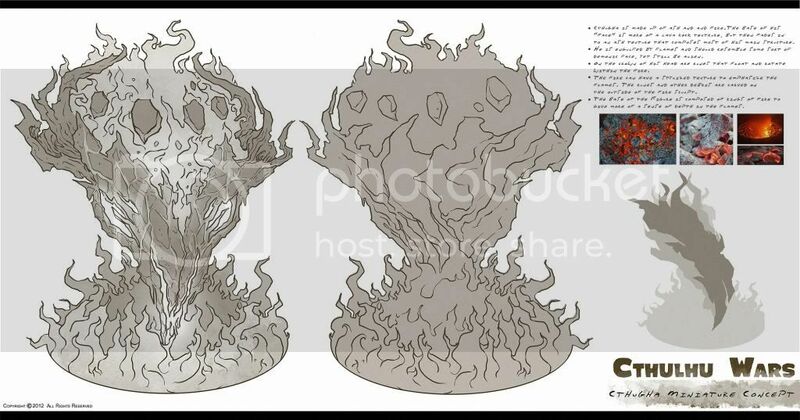 Some Azathoth Faction spam coming later tonight. Amazing Milestone! Thank You Backers! A Little Thank You Gift! You Spoke and We Heard! New Stretch Goal Levels! A few outstanding things to report! 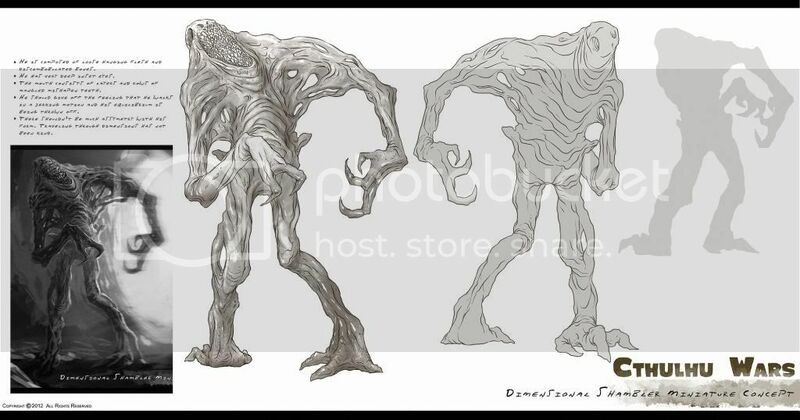 First, we have reached the $975,000 and with that have unlocked a FREE Wendigo Collector's Figure!!! Thank You!!! Faction descriptions and strategy videos up for Crawling Chaos and Yellow Sign! Updated Stretch Goals and New Backer Rewards!!! THREE awesome things to share! New Pledge Levels! Save Money Today! 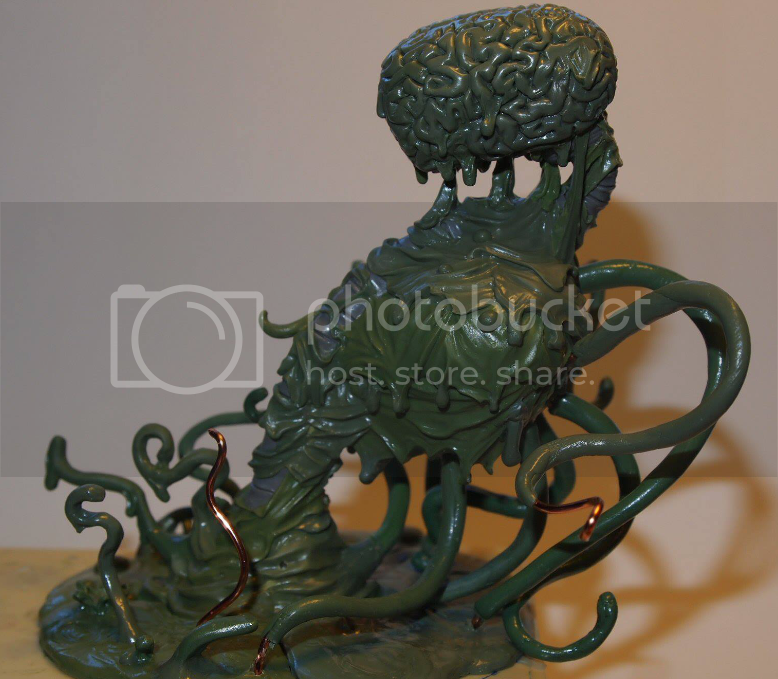 Mike Langlois came by my house yesterday and had a chance to look at and play Cthulhu Wars. 3100 backers! Mutant collector's figure now unlocked! 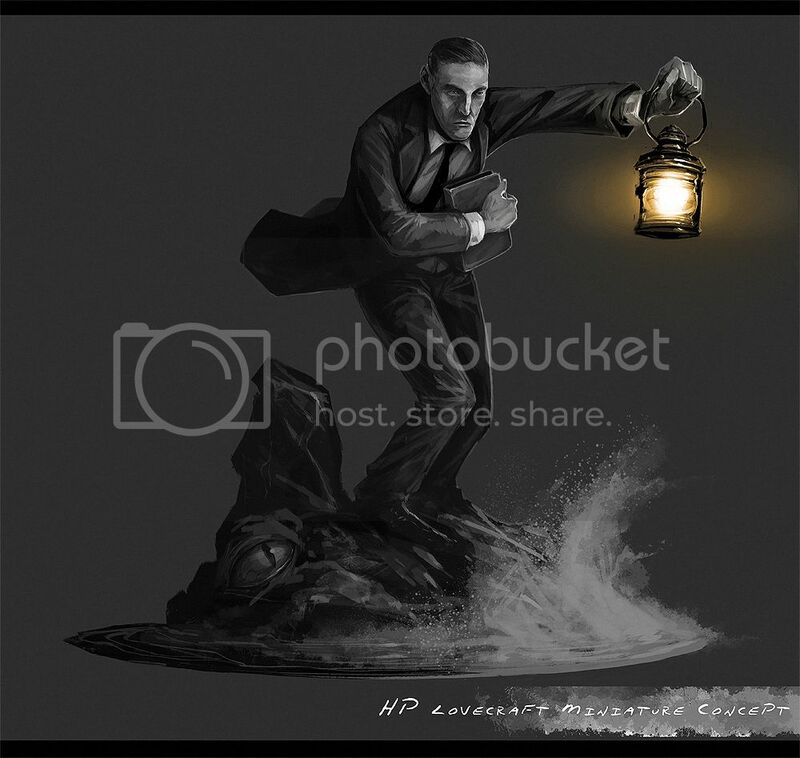 HP Lovecraft Player Marker concept! We haven't unlocked this yet, but I'm gonna be out of town, so... an early release! Great Cthulhu and Black Goat Faction videos and more! Moonbeasts and Gugs, oh my! As a change of pace, here are some more concepts in a different style. 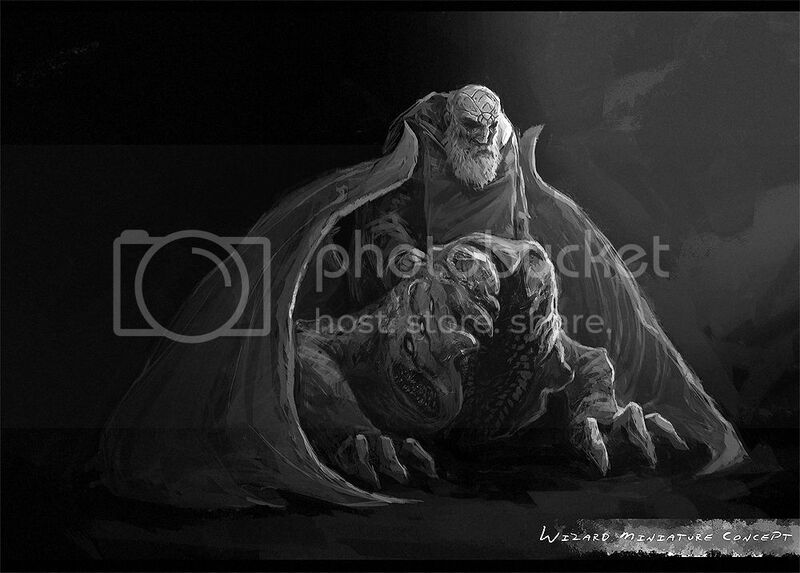 More Free Great Old Ones! 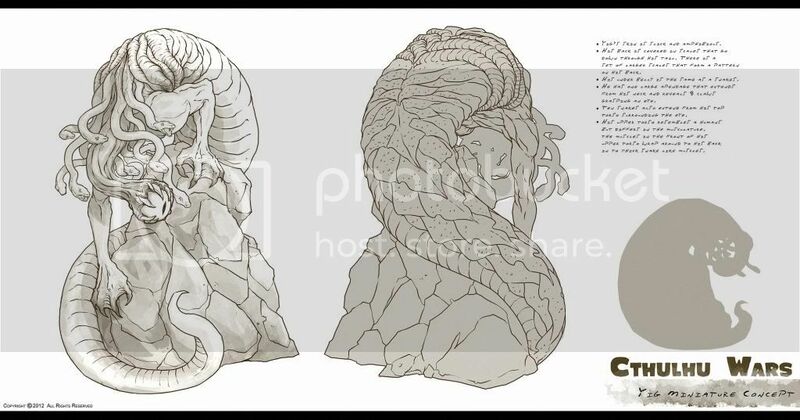 Free Great Old One Concept Abhoth! Also no more Photobucket shenanigans! 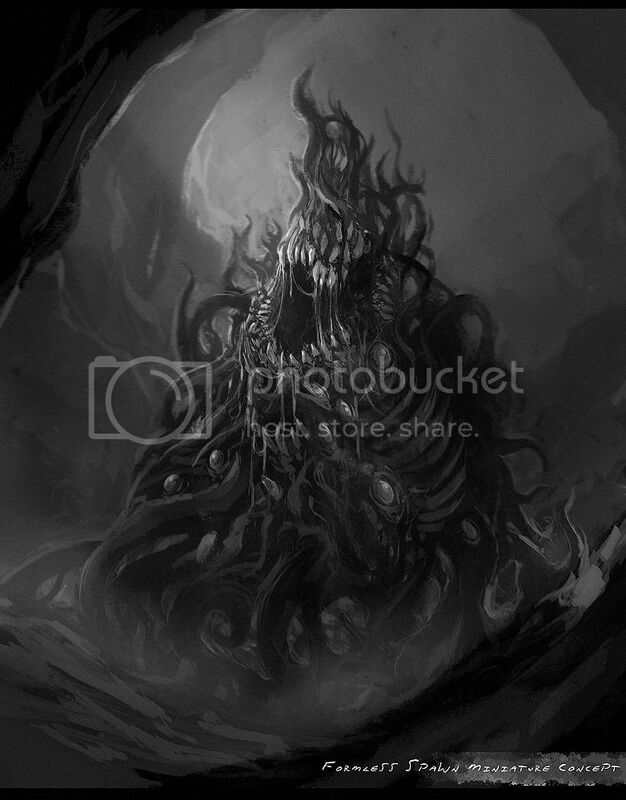 Some more Free Great Old One art. Great News for our International Backers!!! Another Free Great Old One! 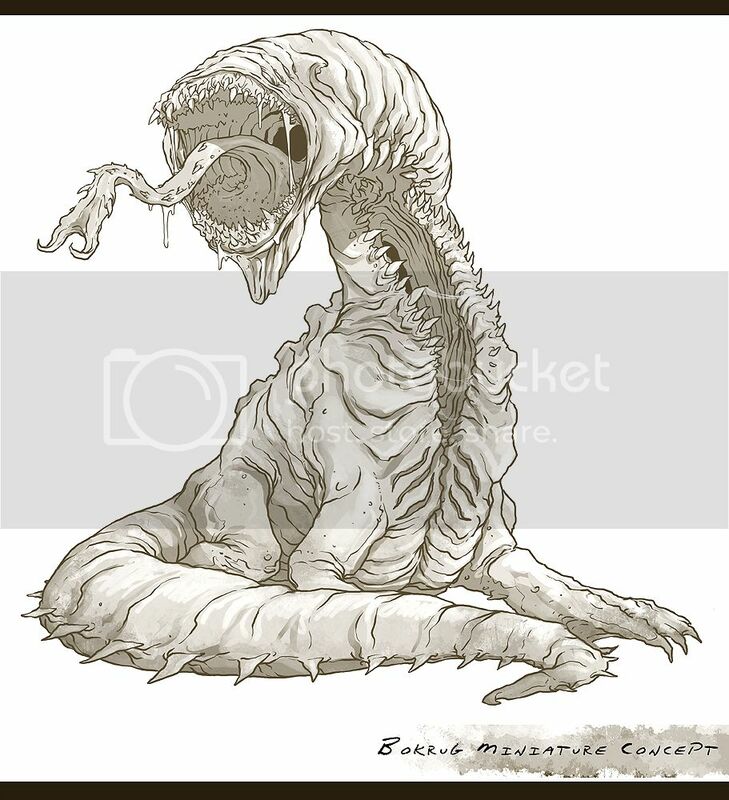 First Free Great Old One Concept! Yig! 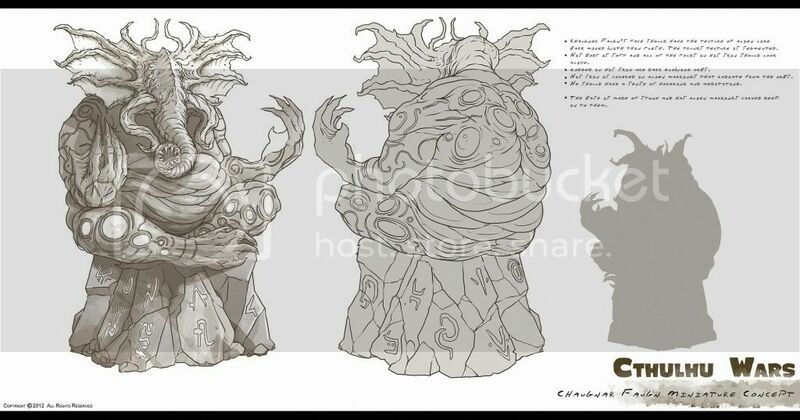 Here's the concept for the front of the Great Old One, Yig. Faction Expansion Bundle Added and More Stretch Goals! Map Expansion Bundle now available! Congratulations to all of you guys! We are so glad to have you on our team! Another Stretch Goal! And Avatars! Another Stretch goal bites the dust! Cthugha has been unlocked and here are some free avatars! Abhoth and Bokrug has been unlocked! Free to all of you great backers who are above the threshold! Some new art scattered throughout the page also. More to come! 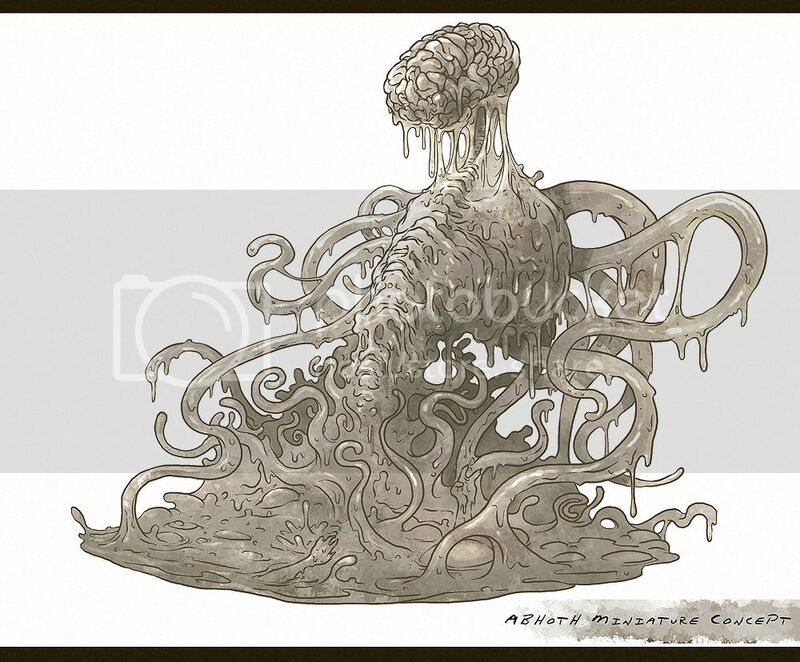 Bokrug comes from the tale The Doom That Came to Sarnath, by H. P. Lovecraft, one of my favorite stories as a kid. 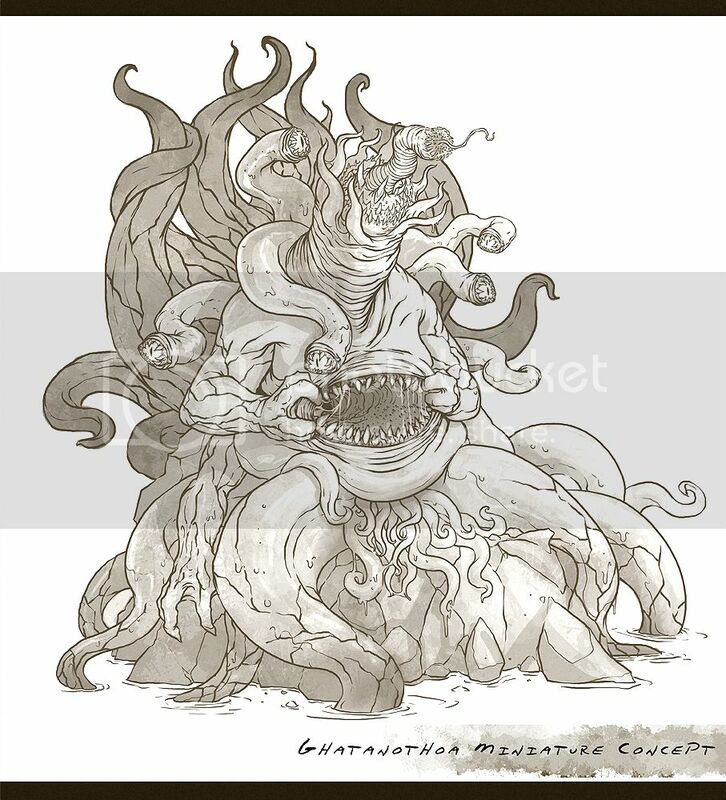 As a gift for your awesomeness, the Great Old One Ghatanothoa has been unleashed! 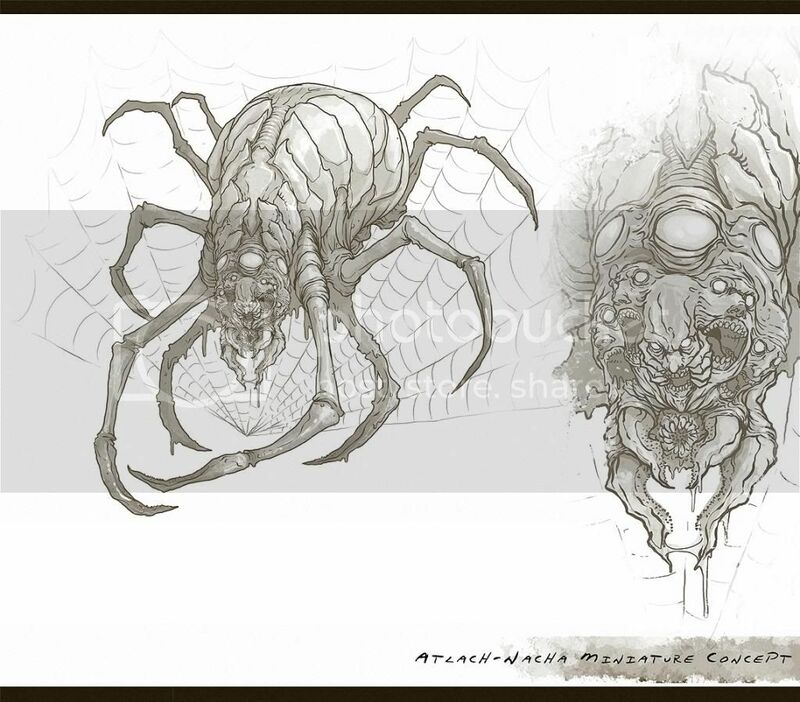 Some new art for the Sleeper faction has been added. 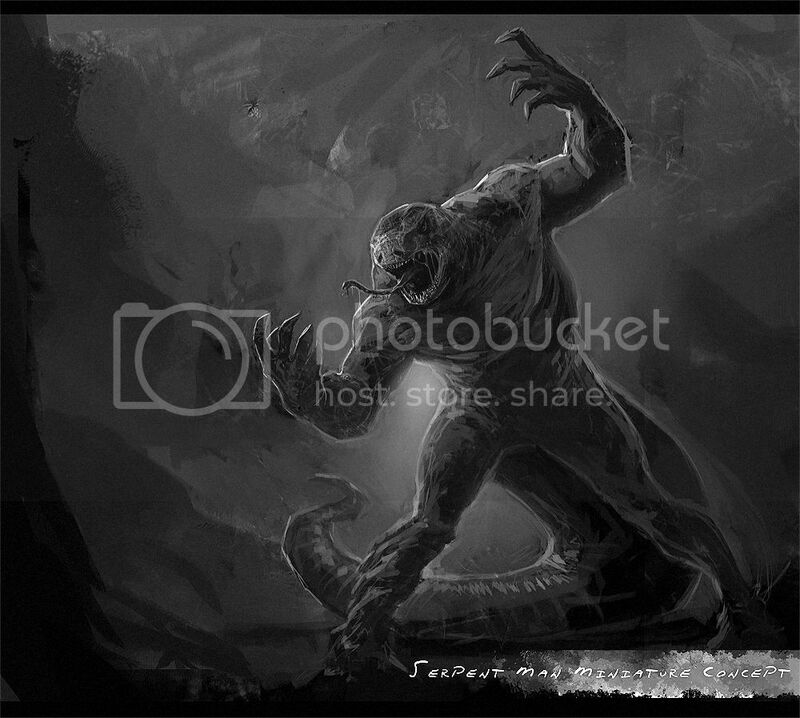 Atlach-Nacha is the second unlocked free Great Old One for our fans at the $200 level. Yig is the first of our free add-ons, positioned as a "thank you" to everyone who has supported us with $200 or more. The Yuggoth map is quite unusual. It adds three new Areas with special powers. The Primeval Map expansion includes a map of the ancient earth. Like the normal game map, it is double-sided and can be assembled into four different maps. Oh My! The support is Awesome! The first map expansion is unlocked! Thank you to all of our backers, we've unlocked the Windwalker Expanion and are just inches away from unlocking Azathoth! And all within less than 7 hours- amazing! Unbelievably, we hit our first expansion stretch goal within the first hours! We are overwhelmed by the support! The first Expansion unlock is the Sleeper Faction.